Today we will discuss a very interesting topic, Motel vs Hotel. Motel and hotel are mode of accommodation which provide services, and rooms to stay. Motel is basically a road-side, small level version of hotel, which actually built to provide parking area and fuel station to the travelers. The need of motel increased with the evolution of travelling industry, while hotels are there since start of civilization, just with different names and services. In our today’s tutorial you will going to learn all major and minor differences between hotel and motel. Motel and hotel differs from each other with respect to their location, architecture, room charges, services, etc. In following article, you’ll get to know the motel vs hotel in detail. Motel meaning can easily be understood by taking it as a blend of two words, “motor” and “hotel“, or as the simplest three word, motel definition could be “A motorist’s Hotel”. Motel term was first defined as a single building with multiple connected rooms, where all of them face single common parking lot, or a specific area having a series of multiple joined cabins each facing a same parking area. But in recent days, motels do not necessarily have to have outdoor common parking lot facing doors, rather inward-facing doors are also built in motels that open up to common space. Motel means a smaller version of hotel that provides most of the services like a hotel, but not all. As motel is a small establishment, it is more cheap and handy for bikers, tourists, or families on vacation. Well motel not only provide the visitors with parking space or fuel stations, but also serves as an accommodation for night stay. In this manner, motels provide cheaper services than a hotel with same services. Plus motels have every type of repairing too, which the guests can use themselves or can ask for a repair. As the motels are situated on motorways roadsides, they provide each and every facility that could be needed for a biker. There are many types of motels, as some motels only have all basic facilities, while others are more sophisticated and well furnished with same set of facilities, but with comfortable environment and excellent services. Motels are mainly/ mostly owned by a single person, but now with booming and revolutionized hotel industry; and introduction of new legislation for motels, Motel chains have also been introduced, thus own by different people. Well motel meaning can simply be stated as a handy, multipurpose, roadside establishment that offers ample parking space, fuel station, garage facilities, repair facilities, catering, accommodation and, cafe to basically motorists, and also to tourists. The word hotel is originated from French word hÔtel, meaning “Lodging” in Old French language. Basic purpose of hotel is the provision of lodging and all facilities to the guests and visitors of particular area. Some basic services include public bar, refreshment areas, bed rooms, clothing storage, and security. In simpler terms, hotels provide basic services and fulfill needs of a traveler. So hotel definition could be, A commercial establishment that provide paid lodging for longer or shorter period of stay to travelers, or guests. In general hotel meaning can be understood as a lodging that must have at least six bedrooms, and three private attached bathroom available to be called as hotel. With the evolution of transport system, hotel industry has developed simultaneously. And with the boom of technology and computer system the hotel industry has become an ever enhancing business. Inclusion of modern day technology has revolutionized this industry and made it easier to provide facilities and luxuries to the guests. With increasing global events, and presence of visitors from all over the world has enhanced the need of hotel, and resorts in every country. Hotels are of different types, depending in their location, services and type of accommodation. International Hotels are located in all large cities and almost near all tourist attractions, or malls. 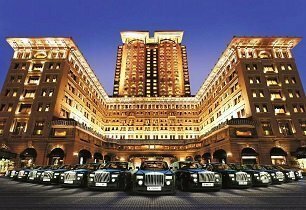 These are the proper luxury hotels, and have distinctive international system. Depending upon the services provision, bedroom styles, well equipped accommodations, agile housekeeping, well managed information centers, and level of security, these hotels are ranked in one to five star rankings. While Resort hotels, or hotels used to cater tourists, or to those who wish to reside in naturally comfortable environment, to change atmosphere, for any health reasons. The resorts are basically meant for relaxations, near to natural environment, and rest along with entertainment. Capsule hotels are new in hotel industry. They are made in shape of a box, and box is of glass-reinforced plastic or cement. Rooms in such kind of hotel are in double-Decker manner, with a central isle used as sleeping compartment. First capsule hotel was opened in Japan in 1979. Floating hotels float on water surface, which could be river or sea. In many countries luxurious ships are converted into such hotels. Residential hotels, or apartment hotels are basically apartment houses with all hotel services. And the rooms are charge on monthly, yearly or half-yearly basis. Commercial hotels focus on individual travelers, rather than groups of travelers. In this case hotel primarily concentrate on individuals travelling solely for business or commerce purposes. Motel history is rather very recent as compared to hotel. The history of Motel is directly associated with the boom of American Car Culture, which begin to rise after the availability of first affordable car, the Model T. And the concept of Motel rose after the establishment of US interstate highway. American culture have ever been associated with individualism, adventure and spirit of exploration, which is totally in harmony with travel and expeditions. 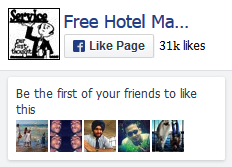 Thus, this situation raise the need of Motel. Motel word was first used in 1925, when ever first motel was opened in the state of California the Milestone of San Luis (now called as Motel Inn), constructed by Arthur Heineman with 80,000 USD expenditure. It’s room rent rate was 2.50 USD back then. In start, the motels were also named as “Tourist Courts”, and were small with less than 20 guest rooms, and fulfilling the general basic needs of travellers. Motel industry gain boom after the World War II, as during the war the car manufacturing companies put their industry at halt and their major production line was busy making tanks and other war vehicles. After end of that era, Americans were o road in record number, and development of highways and powerful cars let the travelers go faster and farther. Motels were constructed on the roadside of highways, where the property value was very cheap in comparison to middle of the city, which is the best location for construction of Hotels. The lower capital cost in building the perfect lodging, and cheap room rent from the guests, became advantageous to the motel industry. Discussing history of hotel is like discussing history of civilization. As provision of facilities to the visiting strangers, or travelers is been evident since earlier times. Originally, In ancient Greece, it was a custom to offer best of hospitality and comfort to any visitor in town. When travelling became frequent, and travelers had to stay for longer periods of time , then “inns” became common. These Inns specially spread in Roman era, where they provide shelter, food, and entertainment facilities to the guests. In later period, Romans constructed mansions as in accommodation for travelers. Thermal baths were first developed by Romans in England, Middle East and Switzerland. In 1634, another form of accommodation unit, called “Tavern” was opened in United states of America. These taverns were used as meeting places, and provide guests with food, drinks, and entertainment. In earlier 15th century, the law of keeping register in the hotel was developed. 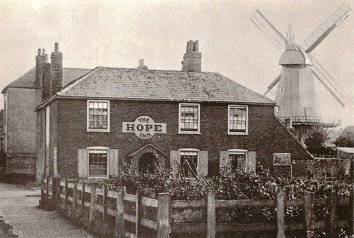 In England, same law applied for Inns, as more than 600 inns were registered all over England. Hotel industry began to establish in Europe during that period. Unique sign boards began to display outside the establishments that have best of cuisine. In the end of 16th century, English gentlemen’s like club were began to establish in United states of America. After the industrial revolution in the start of 1760s, construction of hotels started everywhere in Europe and America. By that time hotel industry is ever large and gigantic industry all over Europe, and booming with the period of time. Basic difference between motel and hotel is of location they are situated in. Motel: The fundamental difference between hotel and motel is that the motels are located along roadside and on motorways. Motels are mostly located on the highways and serves the purpose of only short period stay. Hotel: On the other hand hotels are located in the urban areas, near busy business spots, hustling airports, tourist attractions, sports arenas, or other such publicly busy areas around the year. The first difference one would observe between a hotel and motel is the architecture and whole constructional pattern of both buildings. Motel: As the motels are build with one or two floor and all rooms doors are opened in a single parking lot. This helps the guests to unload their baggage from the car easily, and less distant from the rooms. Most motels are constructed in an “I”, “L” or “U” shape, and motels with more than one or two floor are very rare. The building consists of rooms with an attached manager office, a reception desk, swimming pool, and a small diner. Hotel: While hotels, on the other hand have several number of floors with hundreds of rooms in most sophisticated, stylized, humungous, and attractive buildings. So the hotels need long staircases, elevators, lifts, and each floor has internal corridors, each having a specific number of rooms, and suites. Hotel: Hotels have a full fledged list of staff for each and every nook and corner of the hotel, serving every service provided by the hotel within time. Such as receptionists, bellhops who take luggage to the guest rooms, housekeeping staff, doormen, security guards, elevator operators, parking valets, chefs, room service staff, several managers for each department, and also night auditors to manage hotel in night. Motel: While most of the motels have smaller number of employees, and the visitors avail provided services themselves. Normally motels have receptionists at the front desk, and housekeepers to manage rooms. In case of very small establishment of a motel, the receptionist himself conduct the functions of housekeeper. On the other hand, now very luxurious motels are establishing which offer excellent services with proper attending staff. So some motels have a single person, all in all, as staff. Depending upon the affordability, people chose between hotel and motel for their accommodation (mostly on vacation trips). Motel: Motel is the cheaper choice to stay for a night or for few hours. As most of the motels charge their room rent on per hour basis. So they are somewhat cheap. Hotel: Most people prefer hotel for a longer period of stay. Hotels are expensive than motels and charge their rooms as per night stay. But that of course because they provide best of their services. Hotels and motels differs very much in case of service provision. Motel: Motels offer fewer services in comparison to hotels. Most important service of motel is fuel pump provision and a parking area. Other services, for a proper luxurious stay are not part of motel format. But now some motels offer luxurious rooms, swimming pools and dining services. Hotel: Hotels provide a wider range of services from room services, food/ beverage bars, cocktail lounge, restaurants, housekeeping services, laundry, spa services, indoor swimming pools, recreational services, masseuse services, and exercise equipment. Most of the hotels offer wide-range of entertainment services which include casinos and theaters. So hotels are a way better option in case of services provision, if you get to choose between hotel and motel. Another difference between hotel and motel is of their duration of stay for guests, as both are built and designed for different purposes of stay. Hotel: Hotels are located in midst of urban areas, in commercial zones, around the airports, or near big entertainment/ sports arenas, thus to attract, facilitate, and accommodate guests for longer stays. The Extended stay hotels, as the name indicates, accommodate the guests who wish to stay in the vicinity for couple of weeks or months. Motel: As the motels are located on highways, they are built to accommodate guests for shorter period of time. As the motels are situated far from urban or residential areas, so they provide accommodation facilities to their guests, only for a night or two. Mainly motels provide facilities to motorists, and a place to get a nap in a shorter stay. Hotel: Hotels are rated from one to five stars rating, depending upon the facilities and amenities provided with excellence in accommodation. Motel: For motels, the star rating is not taken into consideration. But few travel sites do rate them from 1.5-2.5. Hotel: World’s Top Hotel chains: Wyndham Hotel Group, Choice Hotels International, Inc., Intercontinental Hotels Group, Hilton Worldwide, Marriott International, Best Western International, Accor, Four Seasons Hotels and Resorts, Starwood Hotels and Resorts etc. Motel: World’s Top Motel: Aqua Hotel and Lounge, Caliente Tropics Motor Lodge, El Bonita Motel, Kate’s Lazy Meadow Motel, Ohio House Motel,WigWam Motel etc. Conclusion: Hotel and motel both are lodging establishments, which provide different services to its visitors/ customers. But both are very much different as the motels are road-side hotels meant to fulfill the needs of travelers. There is a lot of difference between hotel and motel, as the services provided in most of the hotels are very basic, and they are mainly built to provide parking area and fuel to the roar travelers. While the hotels provide best of services to its visitors and guests. All in all if you want cheap accommodation, and can compromise on services than motel is your choice. 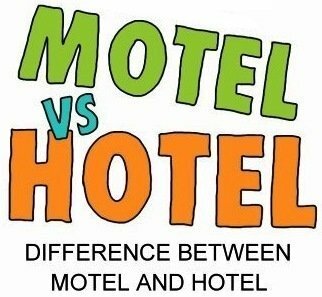 If you have ever had confusion about motel vs hotel or didn’t understand differences between hotel and motel then we firmly believe after reading this tutorial you are very much clear now. I its great opportunity to my, that can understand about hospitality industry!